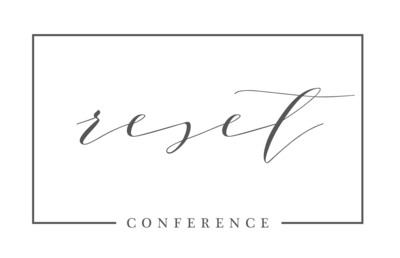 The Reset Conference began in 2014 when Rebekah Albaugh and Kellie Penn were drawn to the need for a photography and creatives conference in the midwest. The first 3 conferences were held in their hometown of Champaign, Illinois and quickly grew enough that they needed to expand to a bigger market with a more accessible airport. 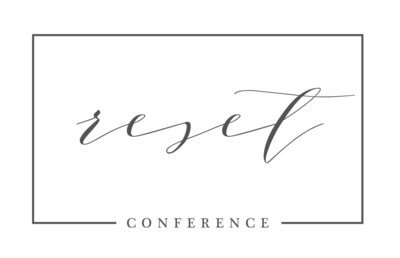 Indianapolis became the latest “hub” for the now national Reset Conference and the 2017 conference was definitely the biggest and best yet. We are looking forward to topping last year in scope, size, and overall content at this year’s conference. We know many of you hear regularly from the Reset staff on the Facebook page and Facebook group, but we wanted to give you a closer more in-depth look at those of us behind the scenes. When you see us at Reset 2018, definitely say hi. We like warm hugs!! Rebekah Albaugh (left) runs a wedding and boudoir business in Champaign, Illinois. She has photographed weddings across the midwest, plus sessions and weddings in Paris, Jamaica, British Columbia, Aruba, Cancun, California, Florida, Colorado, & North Carolina. She is married to a high school football coach and they have 3 children. Kellie Penn (right) runs a wedding and newborn photography business in Champaign, Illinois as well. She is also a managing market mentor with Monat. She is married to a pastor and together with their 3 children, they are stateside missionaries who work with international students at the University of Illinois. Suzy DeVries (below left) is the website manager and designer for Reset and lives in Mahomet, Illinois. She is the photographer of Jukebox senior photography which is owned by Rebekah. Suzy is also married to a high school football coach, and they have 4 children. Holly Birch Smith (below middle) is the blog manager and writer for Reset and also lives in Mahomet, Illinois. She is a wedding, senior, boudoir & commercial photographer and enjoys writing and blogging. Holly is married to an office support associate at the University of Illinois and they have 2 children, a Rottweiler, a cat, and a bearded dragon. Ebby Lowry (below right) is the social media manager for the Reset Conference and lives in the Chicago area. She is a wedding & engagement photographer who loves to travel. Ebby has photographed weddings across the U.S. and beyond, including Arizona, Colorado, Oregon, and the Dominican Republic, and recently also traveled to South Africa with The Heart That Gives Foundation. She and her boyfriend live with their 3 crazy rescue pets and can often be found watching Beat Bobby Flay on their couch.